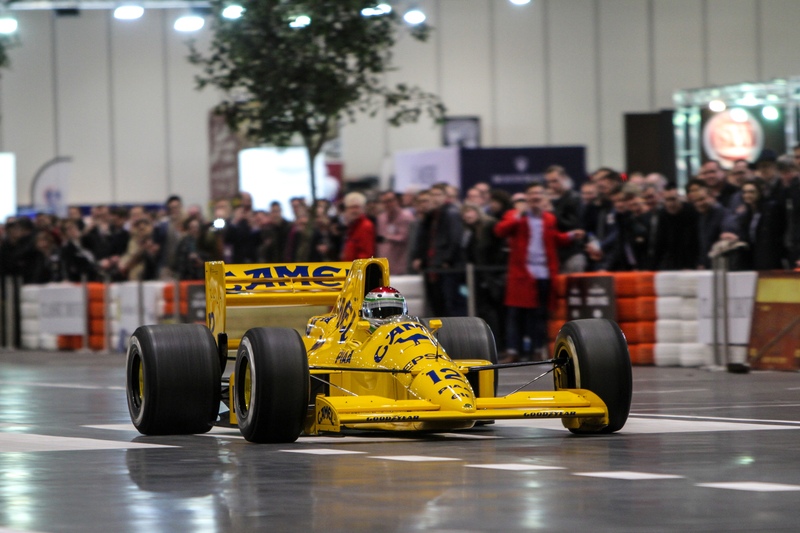 he sound of Grand Prix engines filled the air as stars from the race track, TV and radio helped open the new London Classic Car Show this evening (Thursday 8th January). Grand Prix heroes David Coulthard and Martin Brundle were joined by Top Gear’s James May, TV chef James Martin, F1 designer Adrian Newey, Red Bull team principal Christian Horner, TV presenter Jake Humphry and renowned broadcaster Chris Evans to launch the event that aims to set new standards for motor shows. The London Classic Car Show – running until Sunday (11th January) at ExCeL in London’s Docklands – is jammed with innovative features that turn it from static exhibition into an all-action experience. One of the biggest surprises – for show curator Adrian Newey at least – was when he was reunited with a yellow Lotus Elan once owned by his father and which he last saw in 1980. The show organisers tracked it down, surprising Newey by driving the car into the show. “It’s been a fantastic evening. Chris Evans called me up on to the stage to say a few words, then right at the end he asked me what was the first car I modified. Luckily I got it right! It was a genuine surprise and to see the Elan once again was just fantastic,” said Newey. 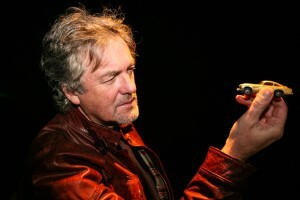 One of the most controversial elements of the show was the car chosen by James May as the ‘The Car That Changed The World’, a choice that was by his own admission very personal. It wasn’t a Beetle or a Mini, a Rolls-Royce or even a Ford Model T. It was, a toy… the famous Corgi model of the James Bond Aston Martin, complete with ejector seat. “The thing about the Corgi DB5 is that it was a great toy at the time. If you’ve got an iPod now you’ll probably think it’s rubbish, but at the time it was absolutely amazing,” said May. The car was certainly popular in its day. In the wake of the classic Goldfinger film, starring Sean Connery as the suave British agent, James Bond, Corgi produced a gold Aston Marin DB5 1:46 scale model complete with retractable machine guns, opening roof with ejector seat, rear bullet screen and telescopic riders. May wasn’t the only one who caught the Bond bug, the little gold Aston went on to become the biggest selling toy of 1964 selling in excess of 6,000,000 units, and received the first ever ‘Toy of the Year’ award. Though 50 years has passed, May’s choice is very topical as Corgi will be unveiling a new and fully featured re-issue of the original DB5 at the annual London Toy Fair later this month. 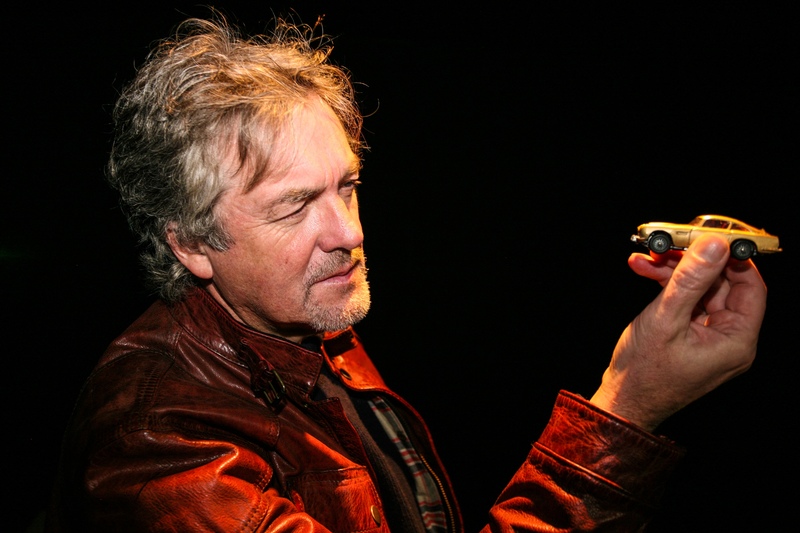 The show, the latest creation from Brand Events – the team behind the globally popular Top Gear Live event – is a celebration of motoring from the earliest times to the modern day. Supercars, racing cars, classic cars, specialists, dealers and auctioneers all provide colour and excitement. The variety of cars on show underline the breadth of the show… there’s everything from a super rare Jaguar XJ220 to the unique one millionth Morris Minor (from auctioneers Historics). There are displays celebrating Maserati’s 100th anniversary; the 60th birthday of the avant garde Citroen DS – plus a reveal of the new DS brand; the legend of Le Mans; tributes to Ayton Senna, Jim Clark and others atMotor Sport Magazine’s Hall of Fame… and much more besides. 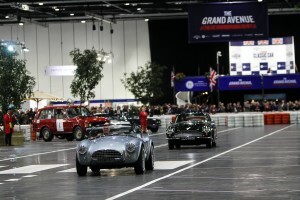 Tickets are available from the show website – www.thelondonclassiccarshow.co.uk – where on-line discounts reduce the on-the-door standard entry price from £25 to just £22. Also available are family and group tickets as well as premium entry packages. Premium Tickets – which have limited availability and are already completely sold out for Saturday 10 January – give visitors access to the premium enclosure with a view of The Grand Avenue’s turning circle, a drink and complimentary cloakroom and the official event handbook.